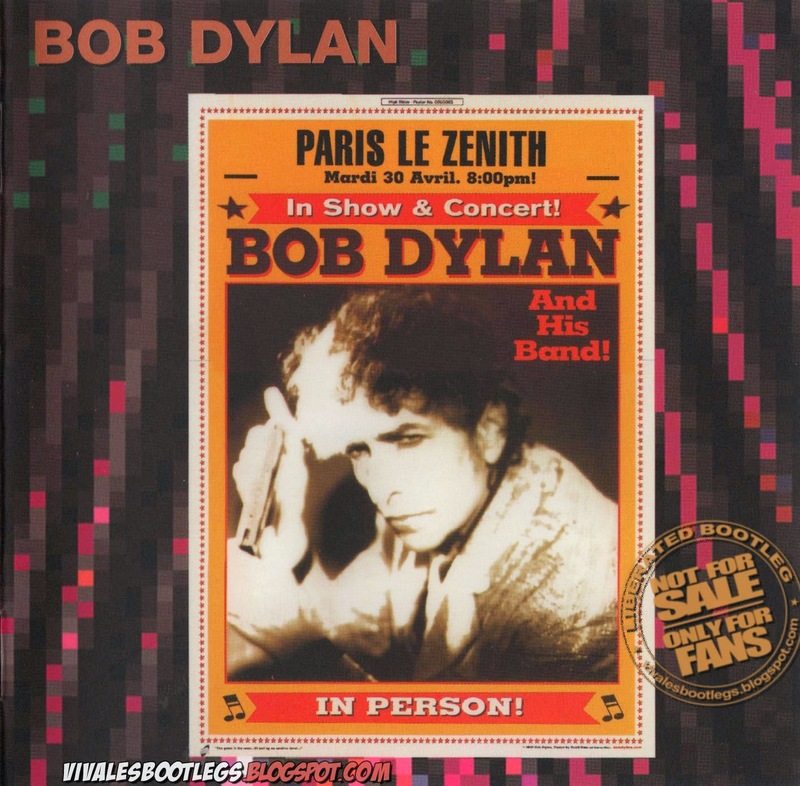 Recorded Live at Le Zenith, Paris, France - April 30, 2002. Files: 22.:: Size: 1.04 GB (flac). Personnel: Bob Dylan - vocal, guitar, harmonica / Charlie sexton - guitar, vocals / Larry Campbell - guitar, mandolin, pedal steel guitar, electric slide guitar, cittern, vocals / Tony Garnier - bass / George Receli - drums, percussion. 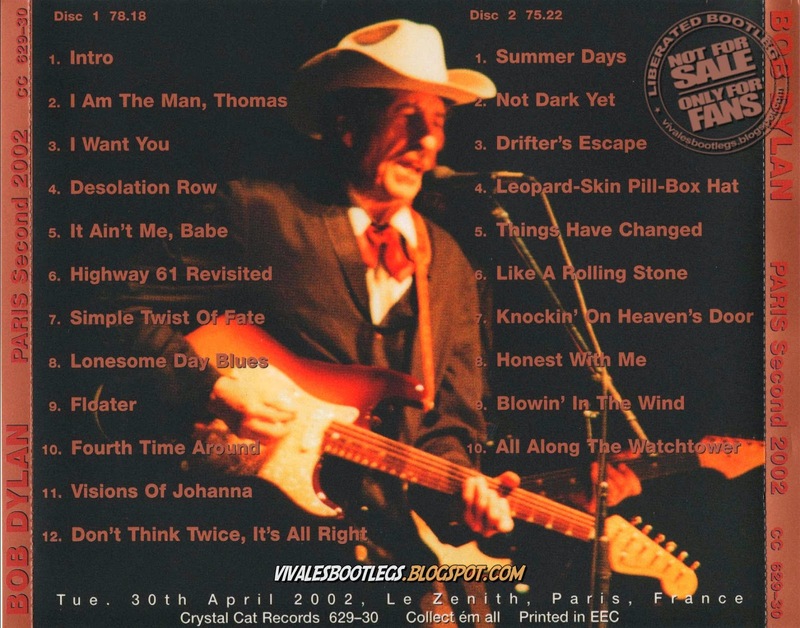 Notes: Good quality audience recording (excellent imho) from silver Cds 'PARIS Second 2002' (Crystal Cat 629-30) > TLH flac 8.